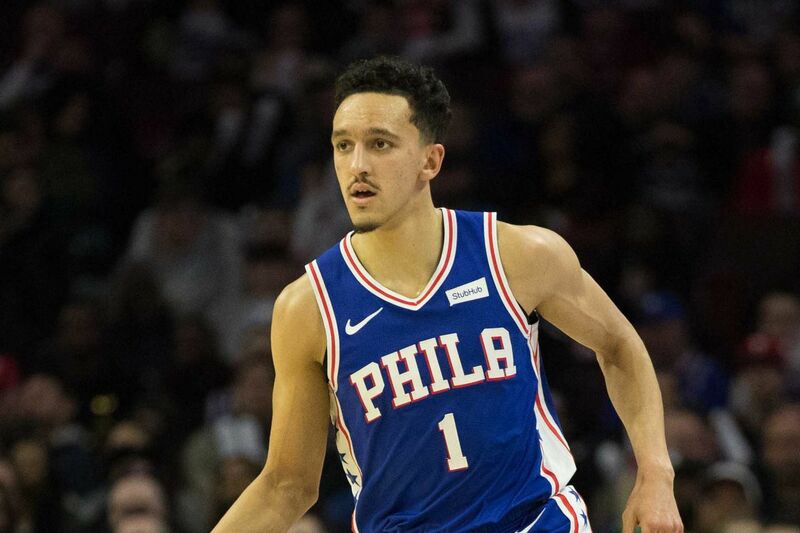 Landry Shamet’s three point shooting lead the way as Philly torched the Wiz. The Sixers won by 17 and none of Joel Embiid, Jimmy Butler or Ben Simmons played more than 27 minutes. The Sixers tied a season high for three pointers made in a single game (17), on a night in which JJ Redick did not play. 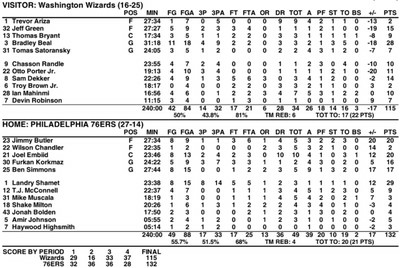 Every single active Sixers player scored. 3 part-time G-Leaguers saw action for the Sixers, including Shake Milton’s 20 minutes. Chasson Randle made a triumphant 23 minute return to the Wells Fargo Center’s floor (not for the Sixers, of course). Landry Shamet tied the rookie record for threes made in a single game (8), and scored 29 points! Haywood Highsmith, who signed with the Sixers this afternoon, saw five minutes of action and scored his first NBA bucket. The Washington Wizards looked more like the Washington Generals tonight. The lone bright spot for the Wiz was Bradley Beal, who scored 28 points on 11-18 from the floor. (He would look nice in a Sixers uniform. ) This Wizards team is dreadful. Stay tuned for tonight’s Bell Ringer voting.